After a week of gorgeous weather with summerlike conditions (I even went for my first swim in just bikini no wettie – that’s when I noticed that it’s only summerlike and not actual summer…), storm and rain dominated the weekend. The surf-check Saturday morning was grim. Either way, it was pretty much flat since Wednesday and I was desperate for a surf. So I was hoping for one of those surf session where it’s actually ‘much better than it looks’. Ok, that was not the case. It was exactly as average as it looked. Still glad I went for a quick session then because it went even more downhill from there. 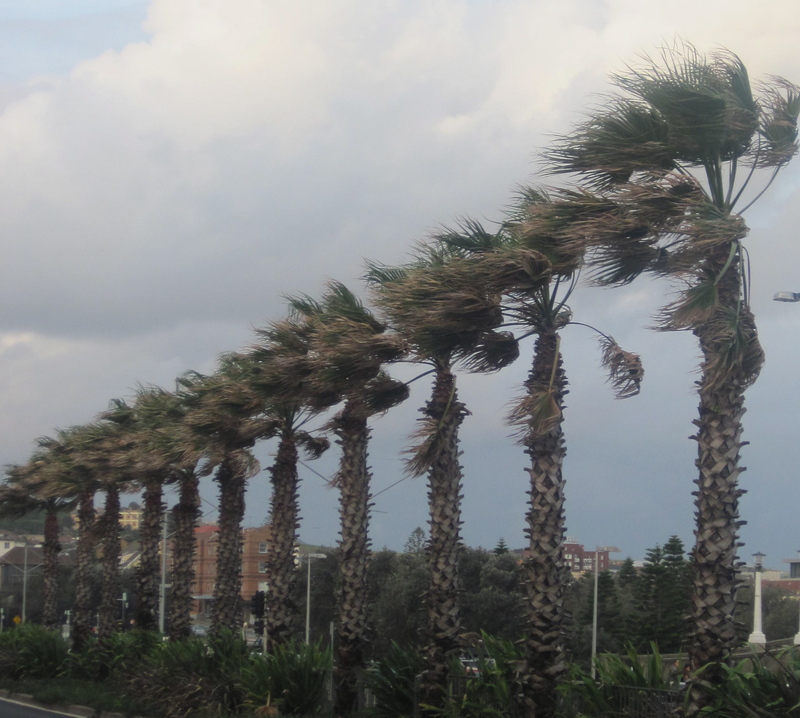 More wind, more chop, less shape and lots of dirty rainwater. Yikes. 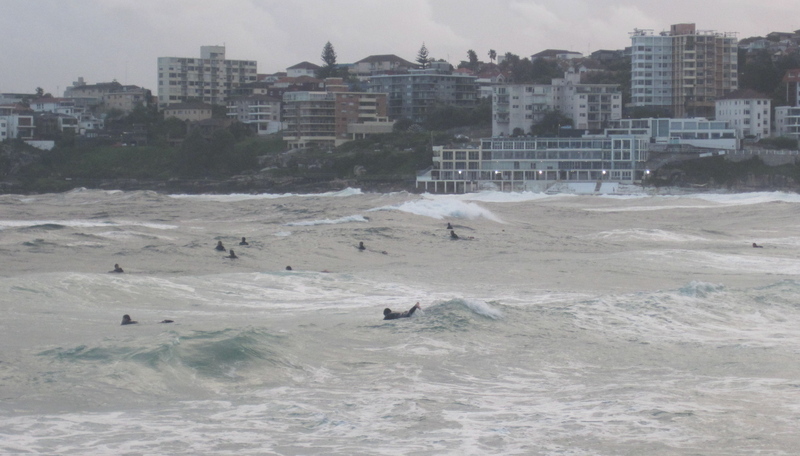 There were some brave, dedicated surfing souls out there in North Bondi Sunday avo. Good on them. The strong Southerly all Sunday did whip up some swell though. Let’s hope for the (Southerly) wind to die down and we should get some decent morning sessions in the upcoming week. Oh yay and don’t forget next weekend is a long weekend. Let’s pray to the wave gods for some decent conditions.